We were much saddened to learn of the death of Raymond Hopes on 15th June. Raymond was one of the early partners of Rossdales LLP and developed the racehorses-in-training services of the Newmarket practice. He encouraged others to understand the needs of racehorses, their owners and trainers, and helped stimulate the development and use of new diagnostic and therapeutic techniques that are taken for granted today. Raymond qualified from the Glasgow Veterinary School in 1954, winning the McCall Award for the best student in his year. He first spent a year in mixed practice in Lincoln before joining the then Colonial Service as a District Veterinary Officer in Uganda, where he worked for four years. After returning to Britain, he worked as an assistant with and then partner of the late Alistair Fraser at Wokingham, achieving appointments with Ascot Racecourse and the Lambourn Bloodstock Agency. 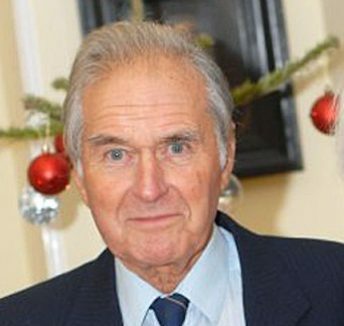 A chance discussion with Peter Rossdale at a British Equine Veterinary Association meeting in London led to him joining the developing practice of Rossdale, Hunt and Peace in Newmarket, where he became the fourth partner in 1968. Ray soon developed a loyal following of Newmarket trainers and his department grew and expanded with the progressive joining of young colleagues, including Neil Steven, Robert Pilsworth, Graham Munroe, Michael Shepherd and Peter Ramzan. He was highly respected as a veterinary surgeon in this field. He was a fastidious lameness diagnostician and a helpful second opinion for colleagues at Rossdales and from other practices. His keenness to develop new diagnostic techniques led to his encouragement of younger colleagues to develop the various diagnostic imaging techniques that are now well established in and an important part of modern equine practices. Ray married Sheila in 1956, in Uganda. She sadly pre-deceased him in 1999. Ray and Sheila had three sons, Mark, Simon and Daniel and two grandchildren, Lucy and William, which gave him great pride and for whom he had great affection. His sadness at the loss of Sheila was compounded by the premature death of Simon in 2014. However, he was fortunate to re-kindle a close friendship with Margaret, whom he had first known during his youth in Lincoln and whom had been sadly widowed. Ray died of the effects of cancer, peacefully at home, on Friday 15th June 2018 at the age of 87 years. His funeral will take place at St Agnes Church, Newmarket on Thursday, 5th July at 11.00am followed by private cremation. Family flowers only please but donations if desired may be made payable to either St Nicholas Hospice Care or Marie Curie Cancer Care and sent care of Southgate of Newmarket Funeral Directors, 25 Duchess Drive, Newmarket CB8 8AG.